For several years my mother-in-law had a sign on her refrigerator stating “So many men… So little time”. As a wife and a mother of three sons, I guess she was either telling the truth – or maybe doing a little daydreaming. I don’t post things on my fridge, but if I did, it might read, “So many patterns… So many decisions”. And that, too, would be a combination – of the truth – and quite a bit of daydreaming! 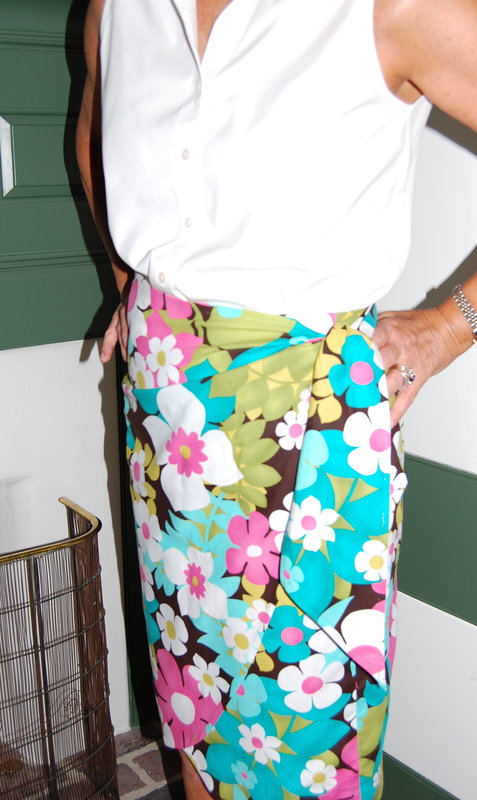 1) View B of this dress (for summer), made up in a Moygashel linen, with a contrasting belt. 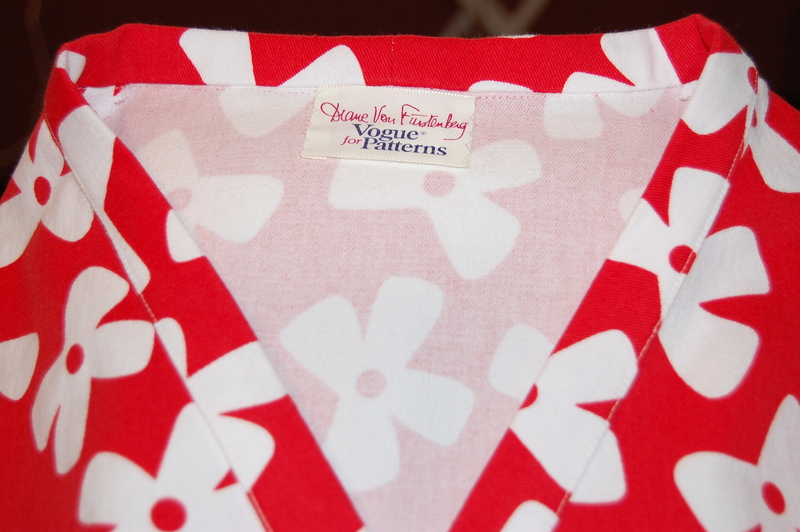 This pattern has persistently been popping in my pattern box ever since I purchased it on Etsy in early January. 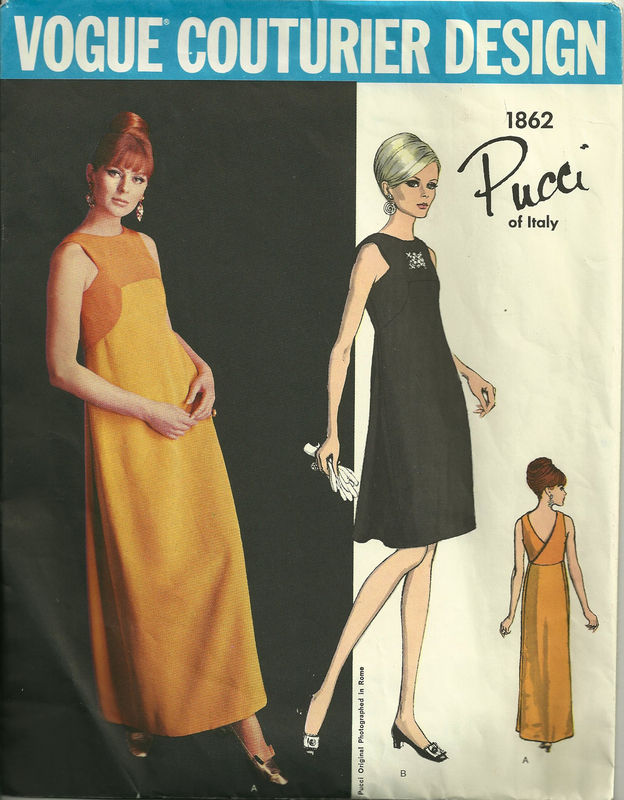 The length of this dress as shown on the envelope is very 195os. I’ll be making it in knee-length. 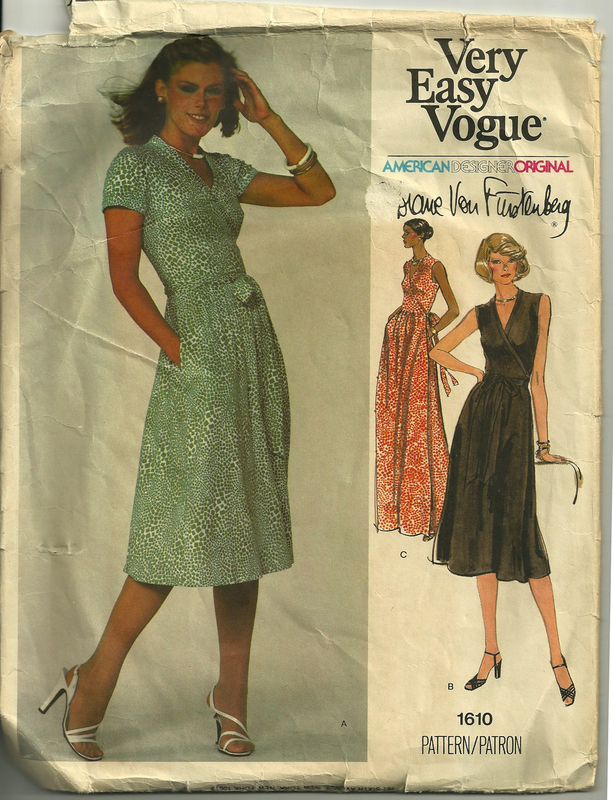 2) No, this pattern is NOT vintage. 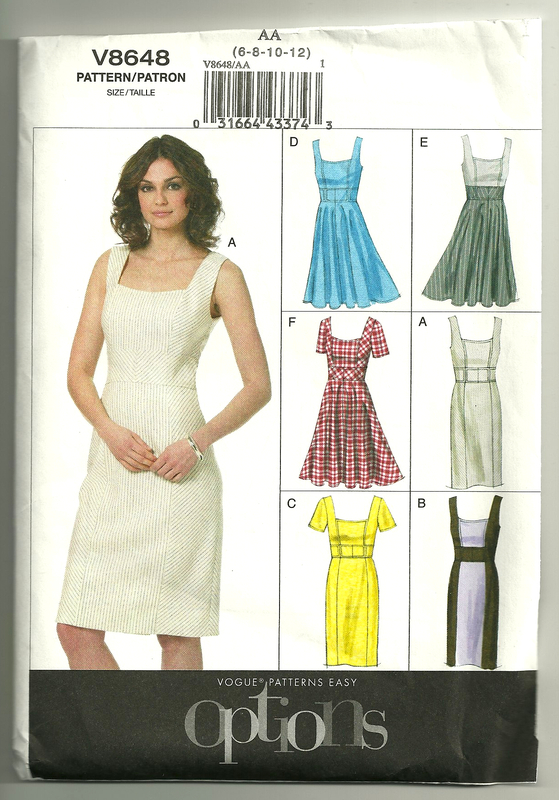 I signed up for The Couture Dress class taught by Susan Khalje on Craftsy, and this is the dress pattern which is sent with class enrollment. 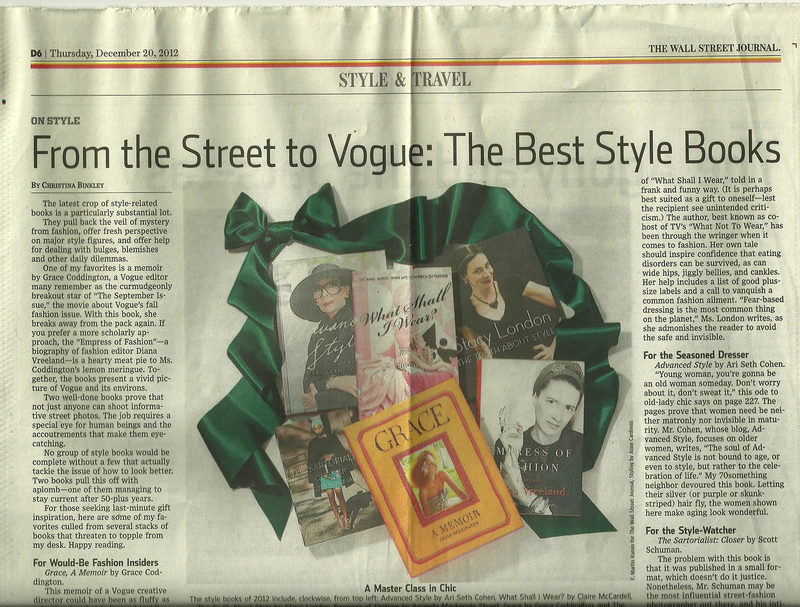 Actually, views A and C both have a 1960’s feel to them – classic and chic! So – what will it be? Sleeveless or short sleeves? It will definitely be the straight-skirt version. 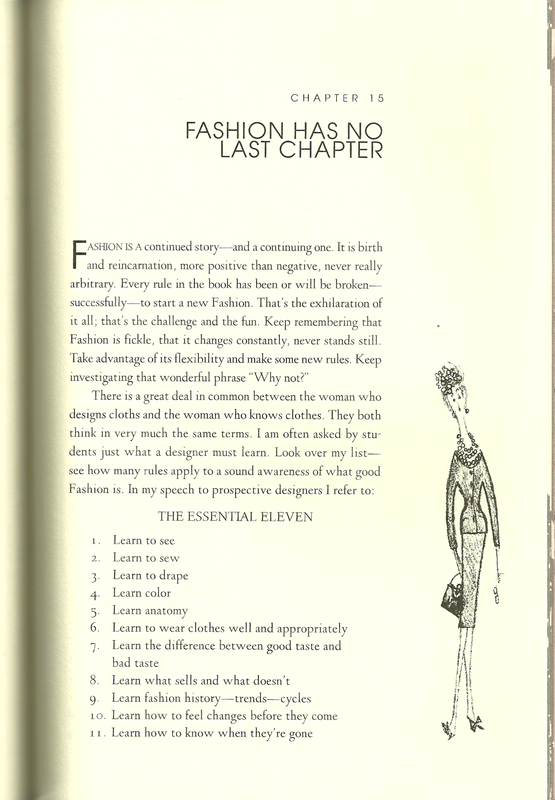 And I love the square neckline. 3) Ah, Molyneux! 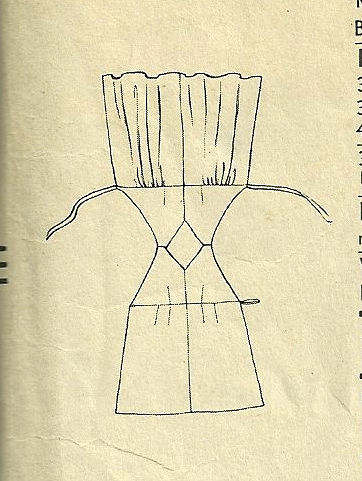 Another short-sleeved dress to be made in linen. 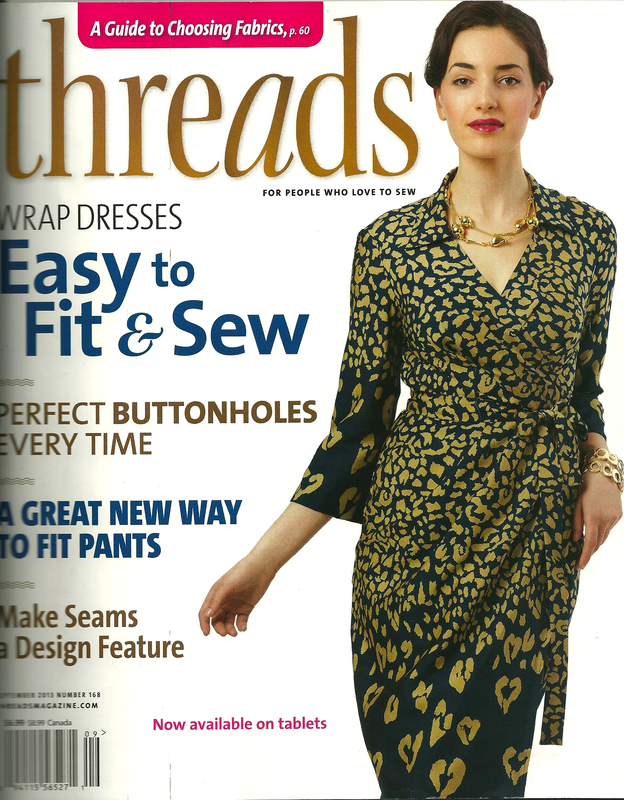 The seaming detail is so lovely on this design. 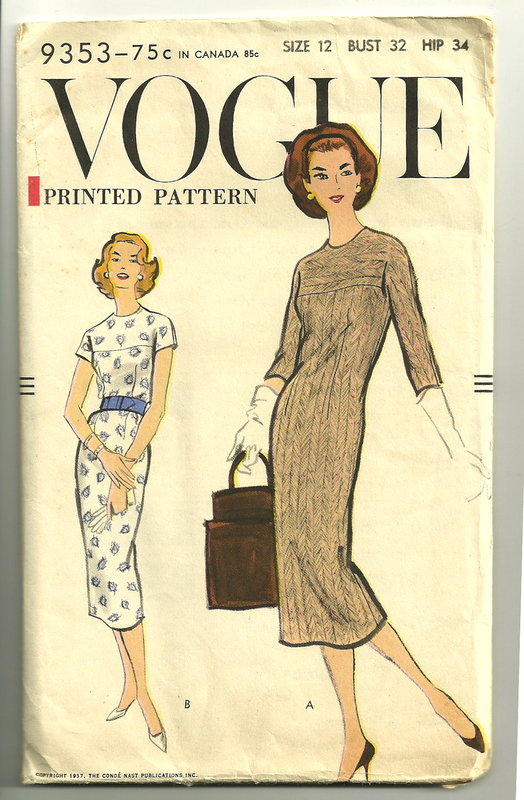 I will have to practice my “pouty” look, however, if I hope to look an inch as good as the model on the envelope. 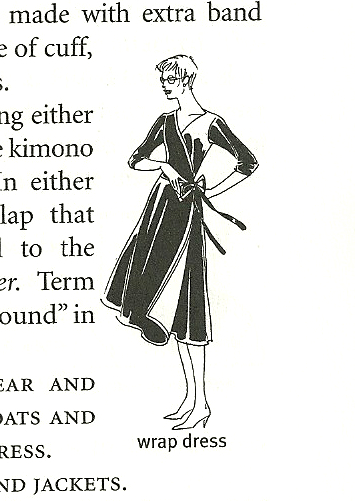 The kimono sleeves have gussets, which will make this dress comfortable to wear. 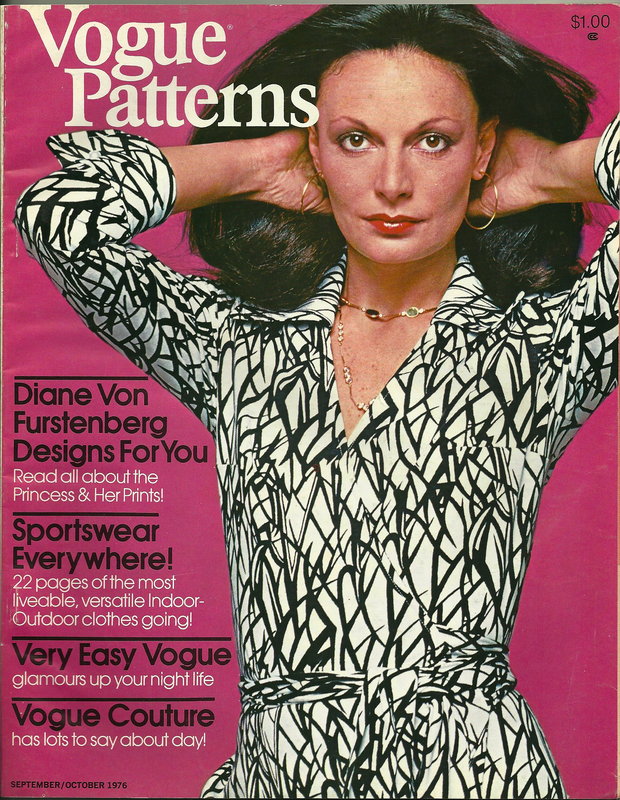 4) After missing out on several Diane von Furstenberg-designed patterns on eBay, I was very excited to find this one in my size on Etsy in mid-May. 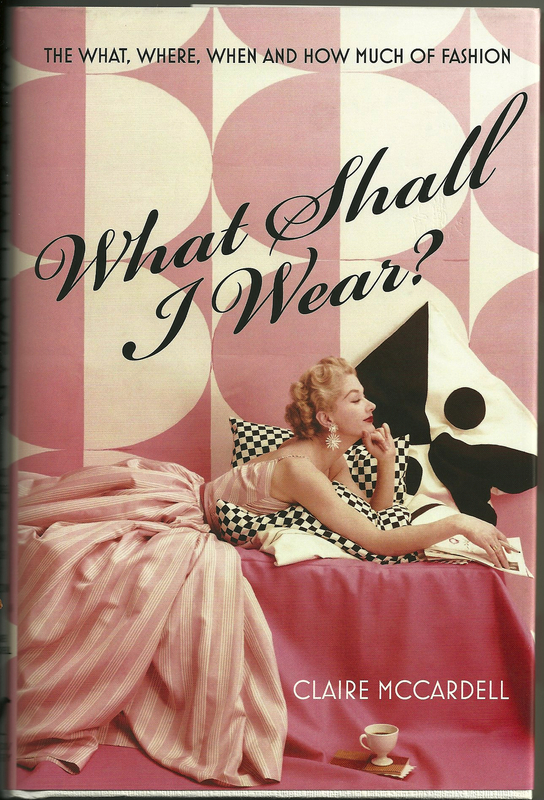 What is it about D von F’s dresses that makes them so timeless? 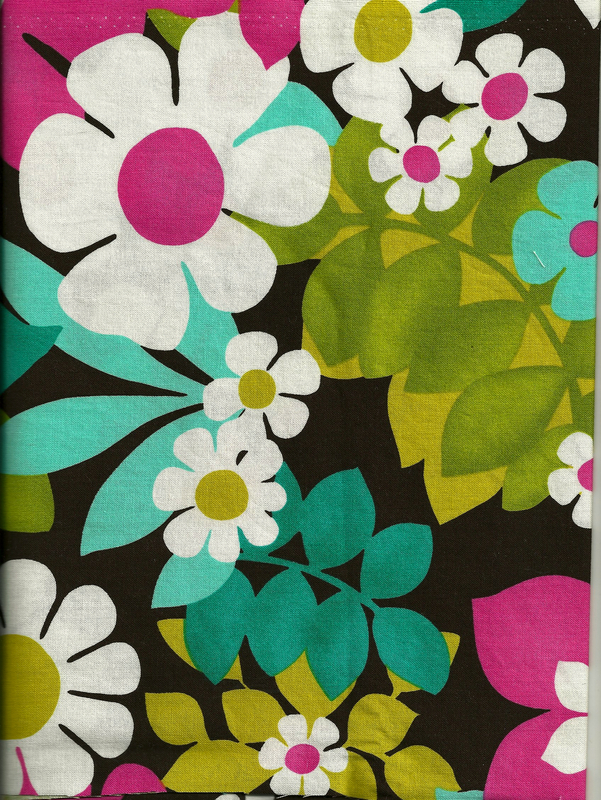 I owned this pattern in the ’70s, when I bought it for $1.50 at my local fabric store. 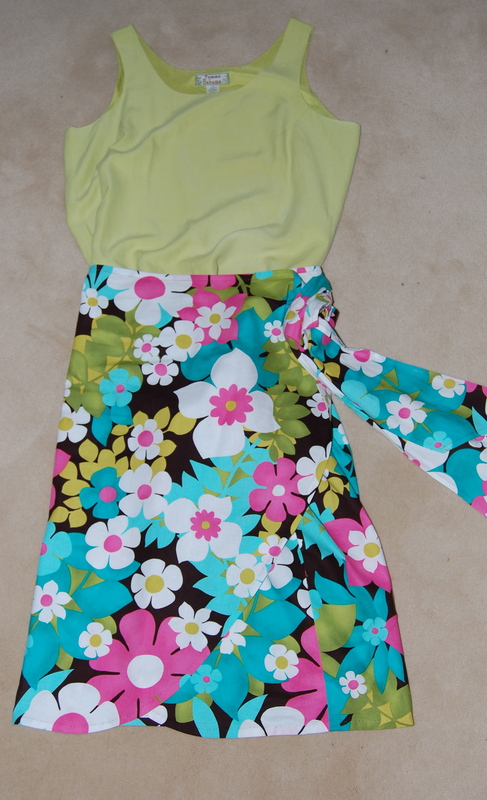 Sadly I didn’t save it or the dress I made from it, so I had to buy it again! I originally made it up with short sleeves, but now I prefer the sleeveless version. 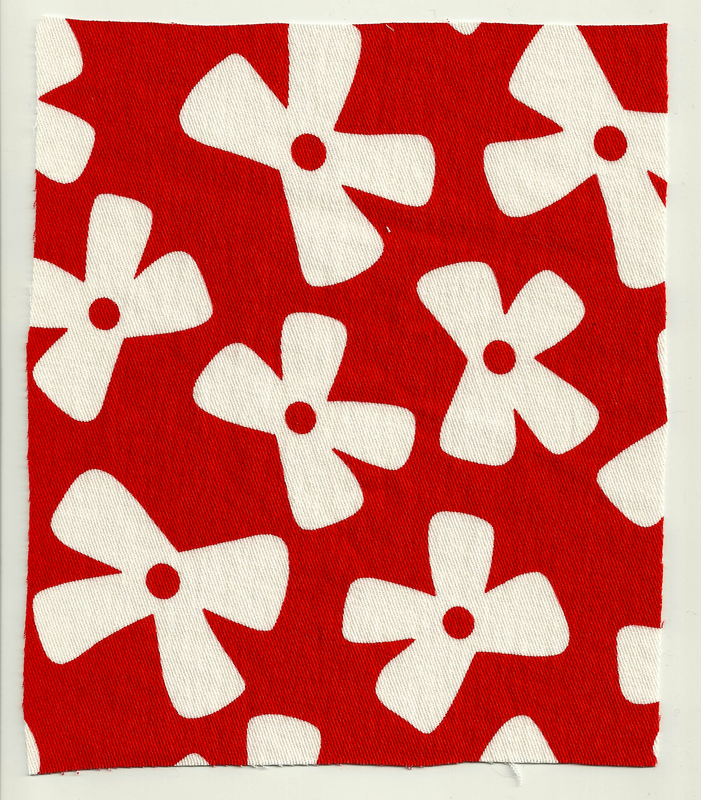 5) I featured this pattern in a post shortly after I started my blog. 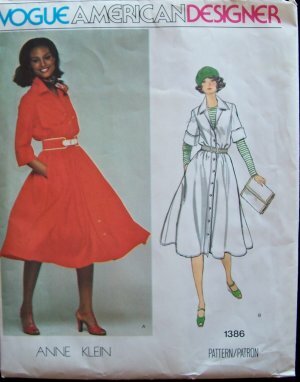 Whether you call this a “swing” coat or a “clutch” coat – it’s 1950’s style has been in my mind for months! 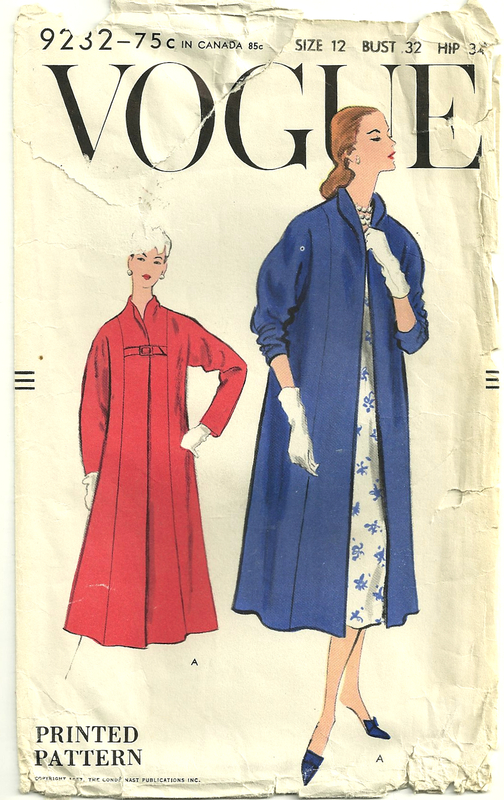 I love this coat with the sleeves pushed up, as shown in blue. 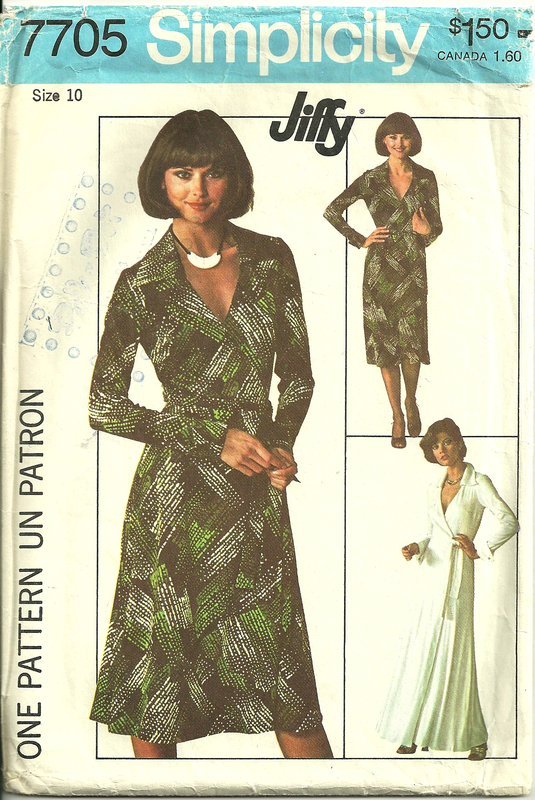 The truth of the matter is that I will eventually be making dresses or a coat from all these patterns, but as I usually work on only one project at a time, I had to choose just one. Which one? It is underway as the thread- and scrap-covered floor of my sewing room will attest! I made my decision . 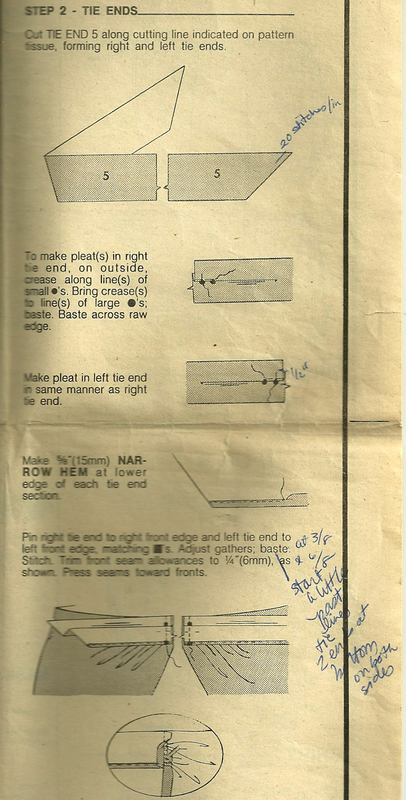 . . but I have many stitches to go – and many stitches to go – before I can post it. I was working in center city Philadelphia in 1976. The venerable John Wanamaker Department Store was just a few blocks away from my place of employment – and often I would grab a quick yogurt and crackers for lunch and then head over to the Fabric Department to spend the remainder of my lunch hour dreaming among the bolts of silks and linens, cottons and wools. It was about this same time of year – mid-March – when I saw a notice about a fashion show, which was going to be held at the store. 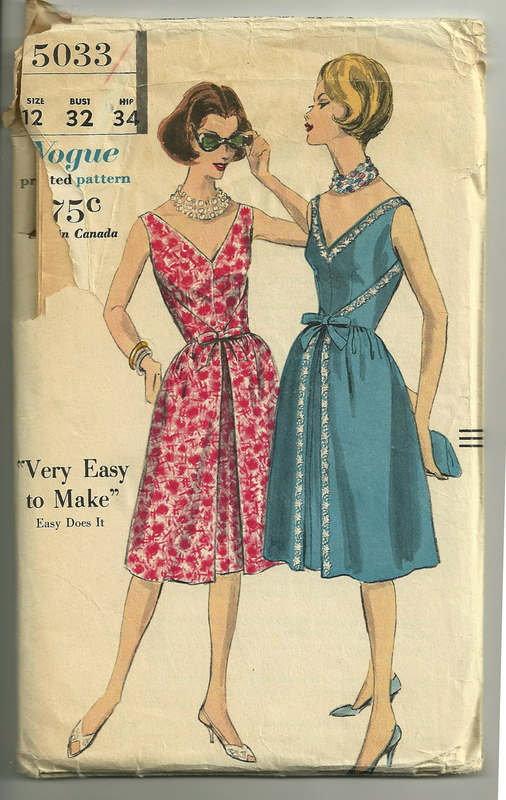 It was to feature Vogue patterns, and the sole fabric of choice was to be American-made silk. Well, this was quite enough to make a girl’s heart go pitter-patter; this was one show I was not going to miss! 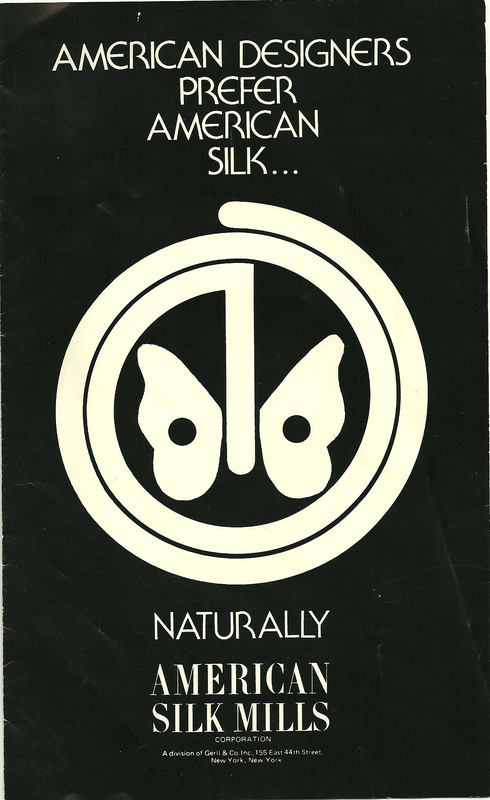 The symbol for American Silk featured on the cover of the Program is still used today. 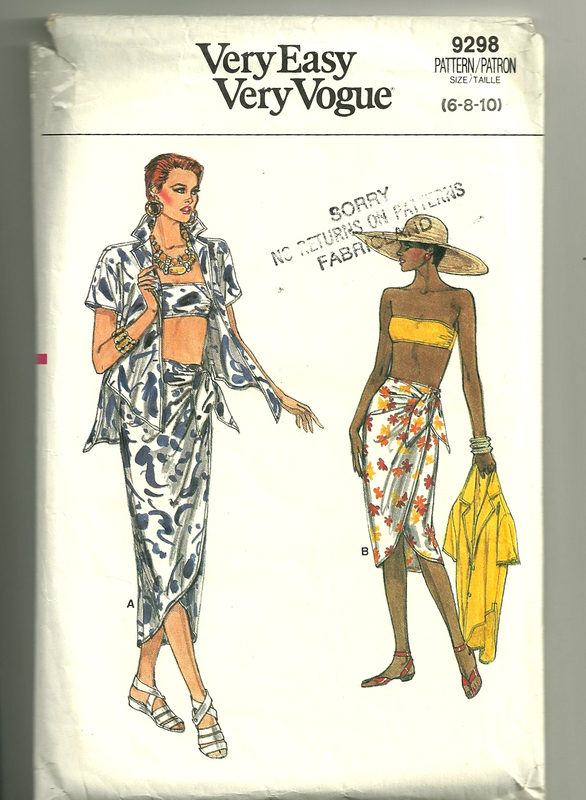 I came away with a couple of other things as well – a Vogue pattern which had been featured, and a piece of American silk in which to make my chosen design! First, however, a few words on the company which sponsored the Show – and a few peeks into the rest of the printed program. 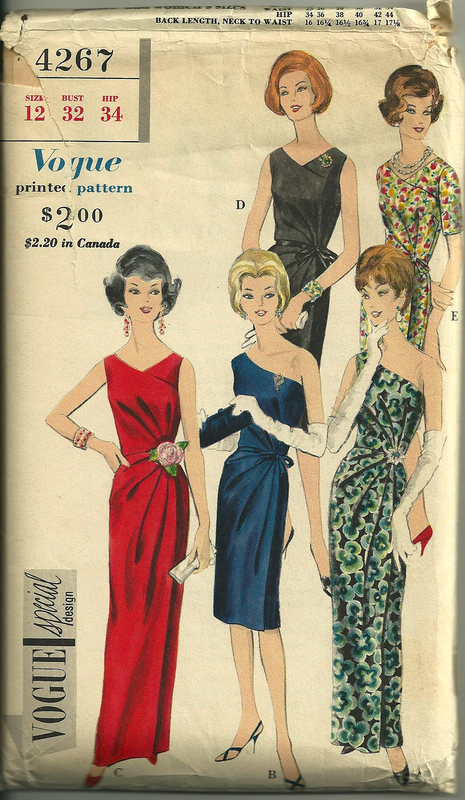 American Silk Mills is still in operation, but it seems they are no longer producing dress goods, just drapery and upholstery fabrics. 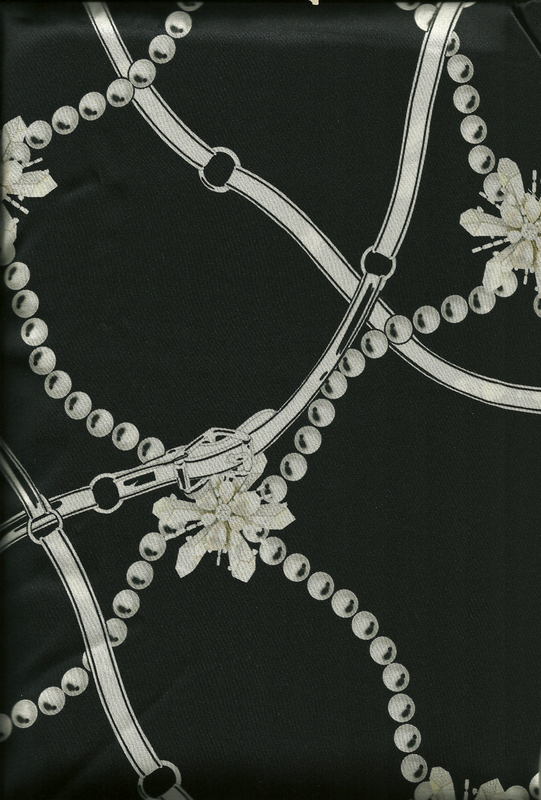 Logantex is still a distributor of fabrics. The Show was conducted by Charles Kleibacker, whom I remember as very charming and very sophisticated on stage. 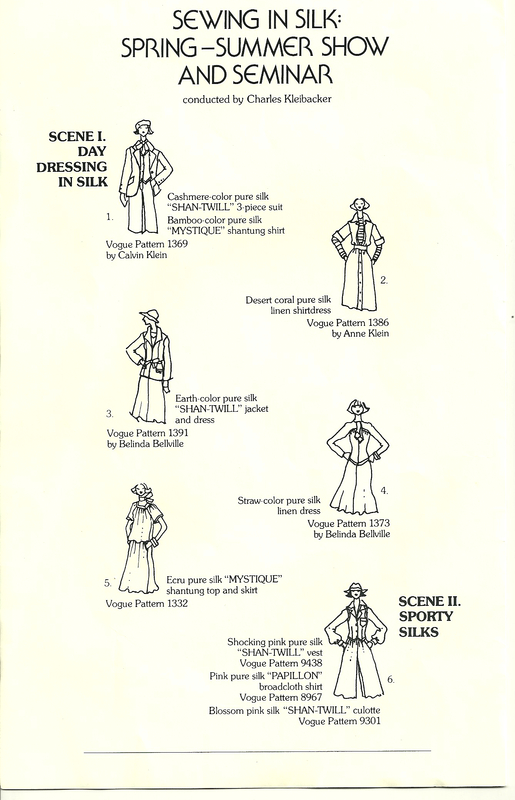 He was known as “Master of the Bias” and gave some styling and sewing tips that day on using the bias in dressmaking. He died in 2010 at the age of 88. 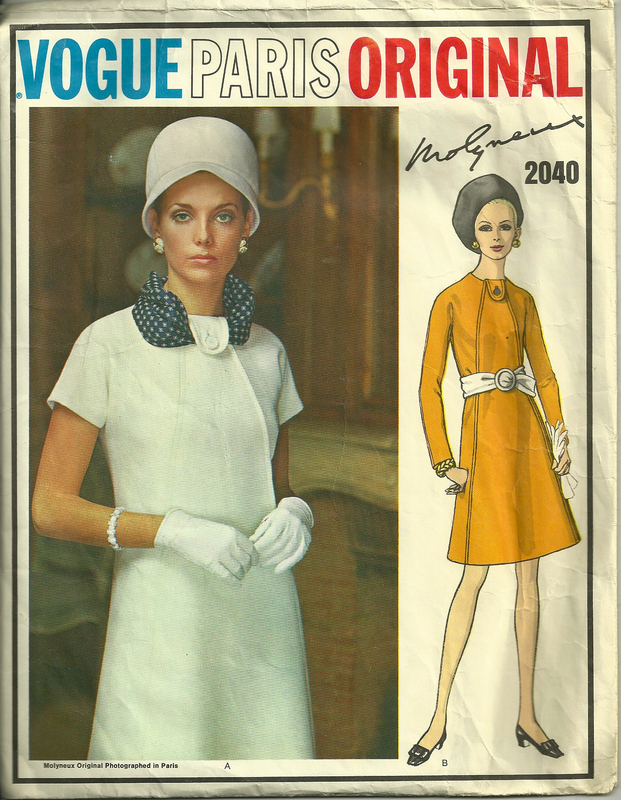 Not all the Vogue patterns featured were from their Designer Series, but of those that were, they were all American designers - very appropriate for the Bicentennial Year! 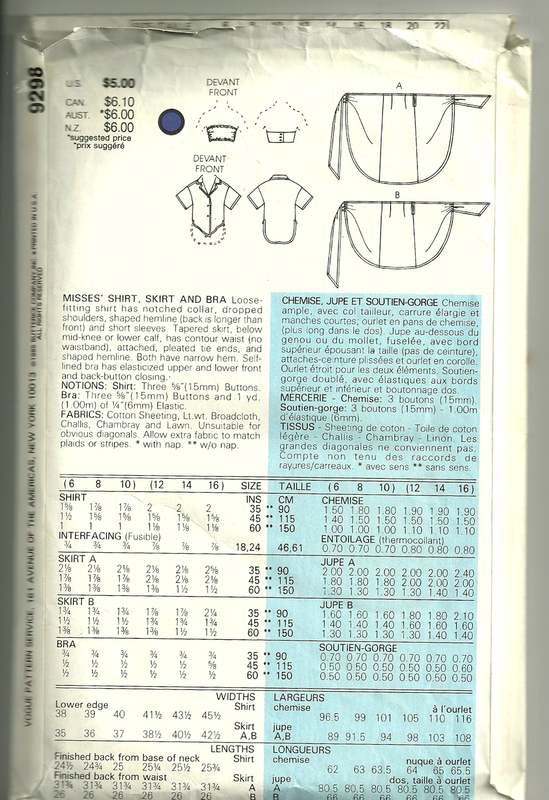 The sailor middy and skirt outfit shown at the top of the page was memorable in its Fire Engine Red, Canton Navy Blue and White. 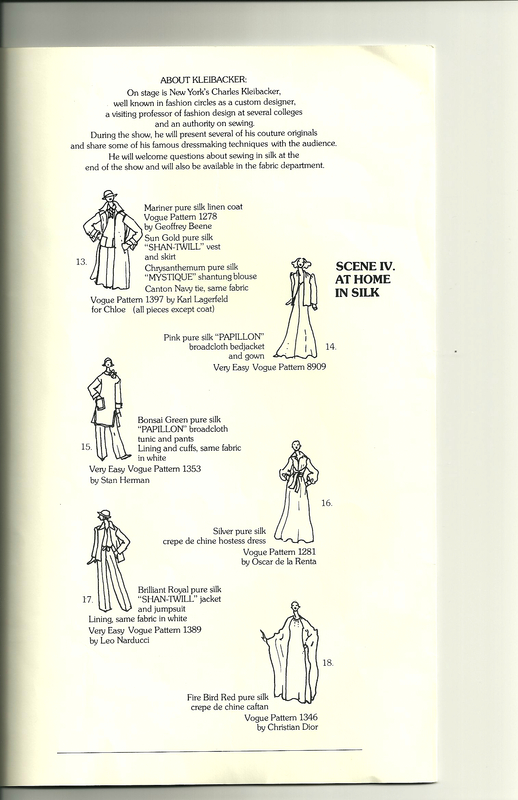 You can read some more about Charles Kleibacker at the top of this page from the Program. 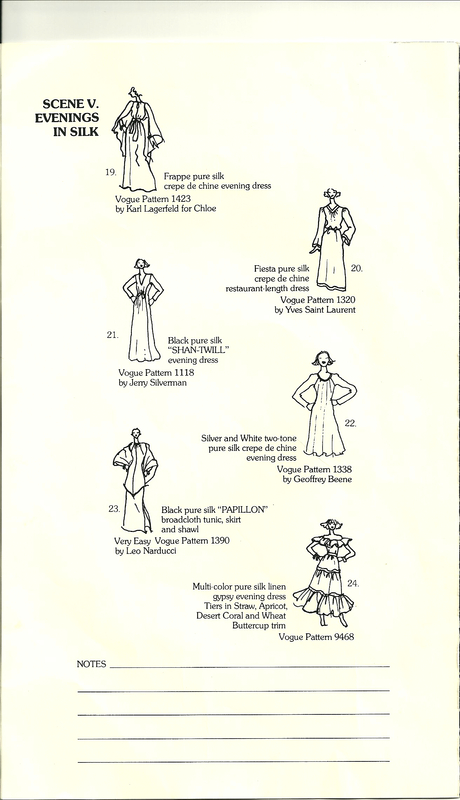 The designs on this page give a good feel for the various weaves of silk which were featured in this show: crepe de chine, "Shan-Twill", broadcloth, and linen. 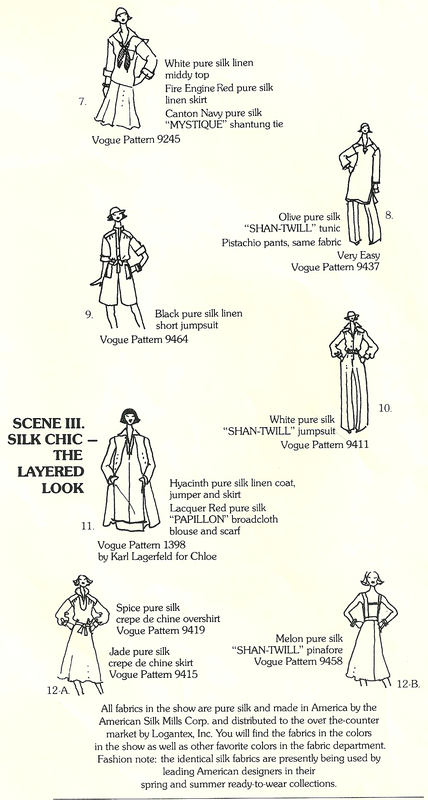 Shantung was also one of the weaves. Reading the color descriptions and combinations is totally inspiring. For example, View 6 featured Shocking pink, Pure pink, and Blossom pink. Olive and Pistachio were paired in view 8, while view 13 brought Mariner blue, Sun gold, Chrysanthemum, and Canton Navy together in one stunning outfit. View 24 was a fabulous finale piece in Straw, Apricot, Desert Coral and Wheat. However, the colors which spoke to me the most that day were the Hyacinth silk linen, the Desert coral silk linen and the Melon twill. 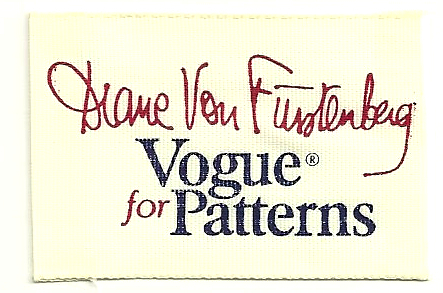 I could only afford to buy one length of fabric – I opted for the pattern shown in View 2, an Anne Klein shirtdress – and I purchased the hyacinth blue silk linen. 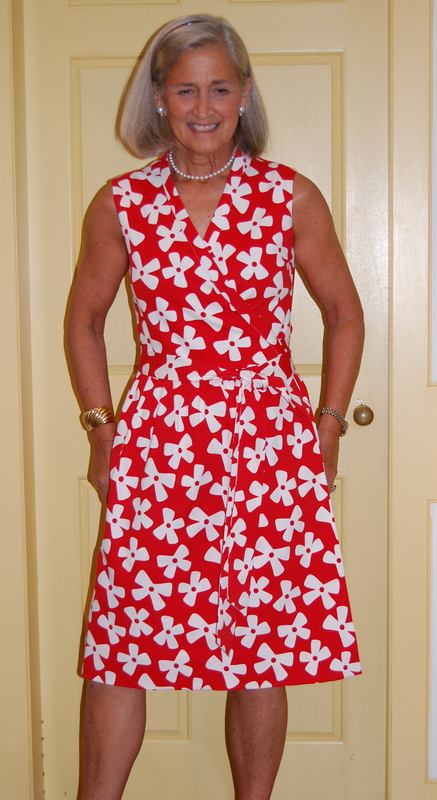 I made a wide self belt and wore this dress with the collar up in back as pictured. 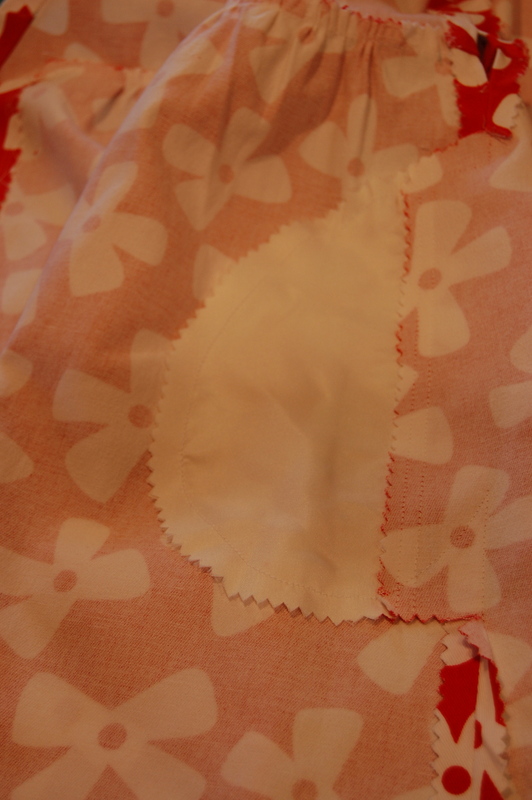 Here is all I have left of the fabric, two scraps! 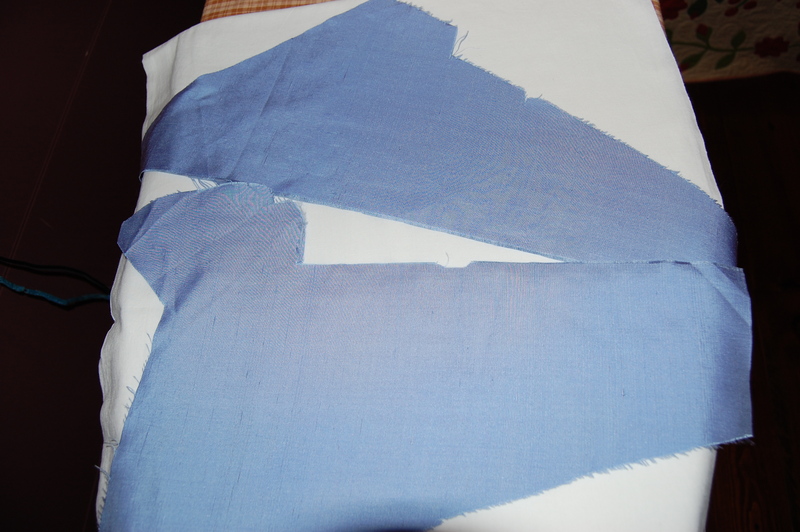 This photo cannot show you the depth of color saturation, nor the perfect weight and weave of this silk linen. I remember wearing the dress to parties and feeling very happy. Isn’t that what beautiful clothes are supposed to do?